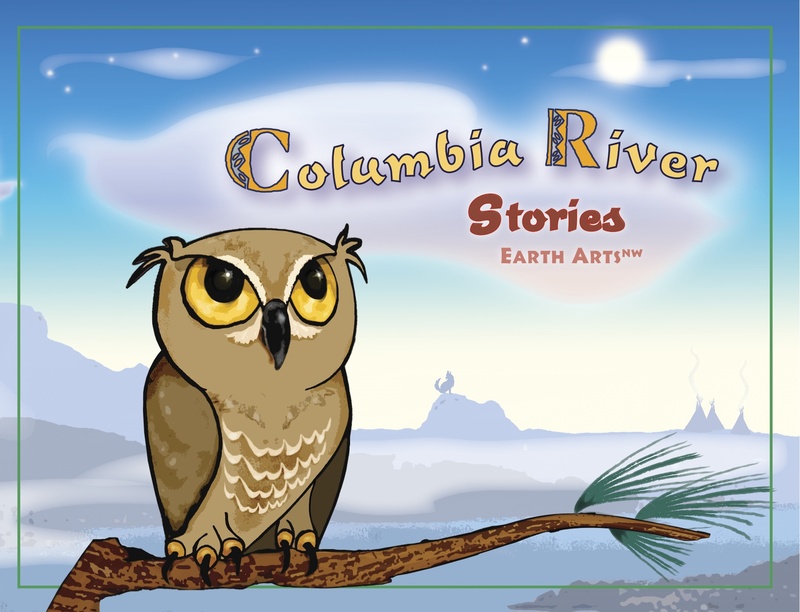 As part of the regional Confluence Project, artists from Earth Arts NW collaborated with Harvey Scott elementary students and teachers to create stories about the Columbia River region. 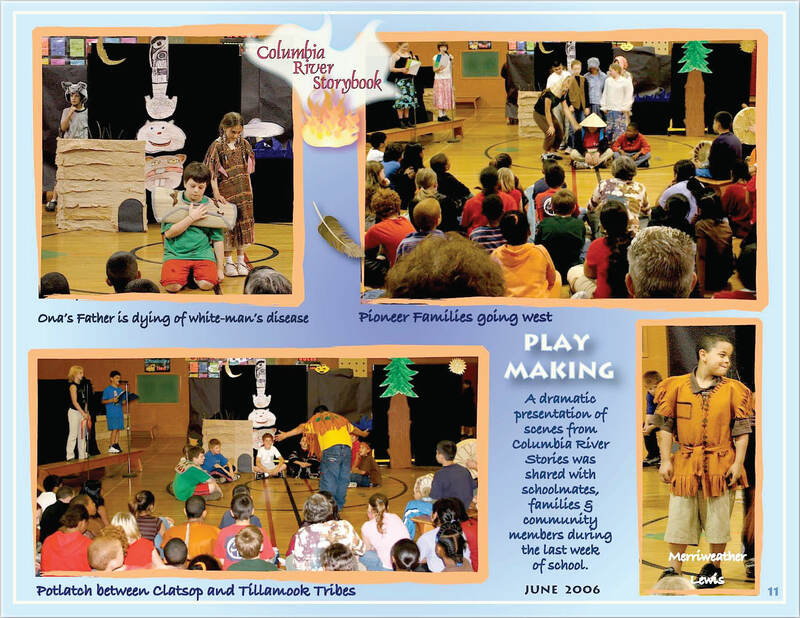 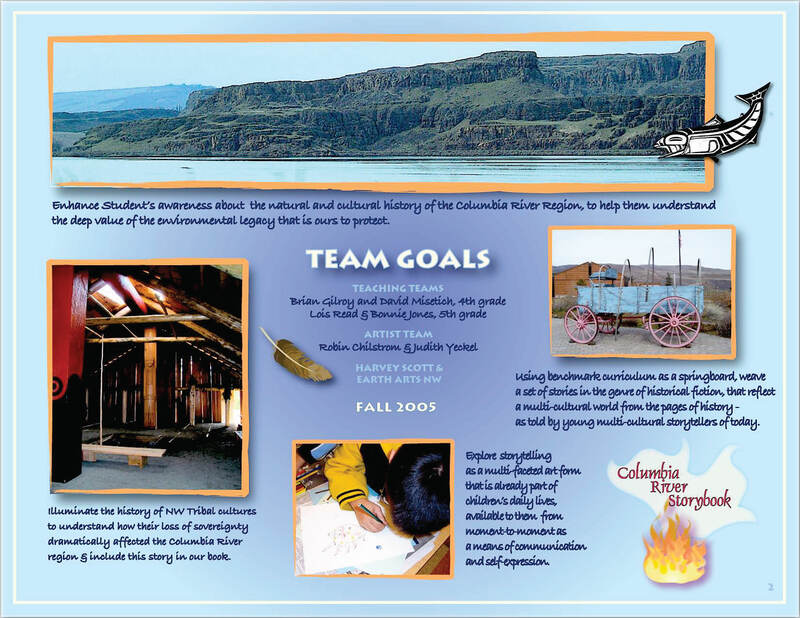 Columbia River Stories follows the Confluence of Cultures that shaped our region’s history from 1700 to the present. 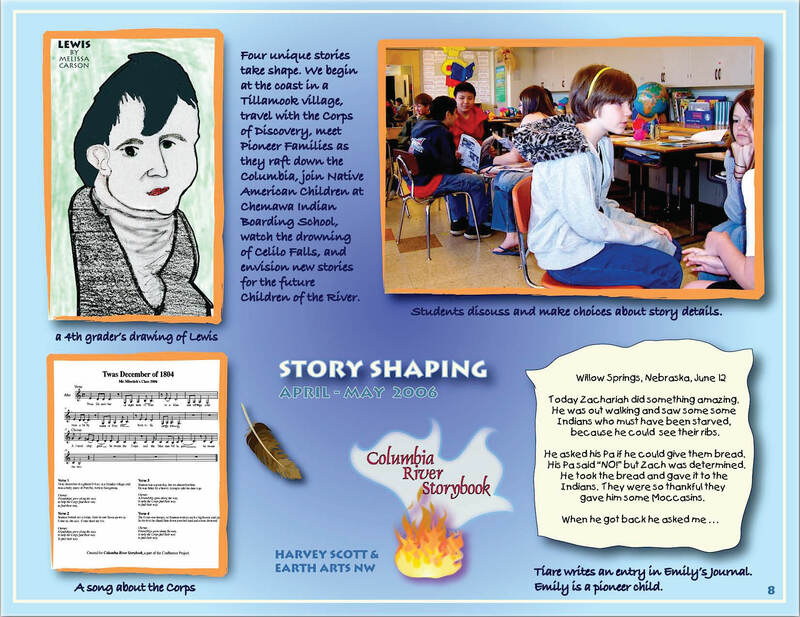 The stories begin in a Coastal Tillamook Village, then accompany Lewis & Clark on their long journey, rumble along with Oregon Pioneers then, in 1885, join Pacific NW Indian Children as they leave their homes for Chemawa Indian boarding school. 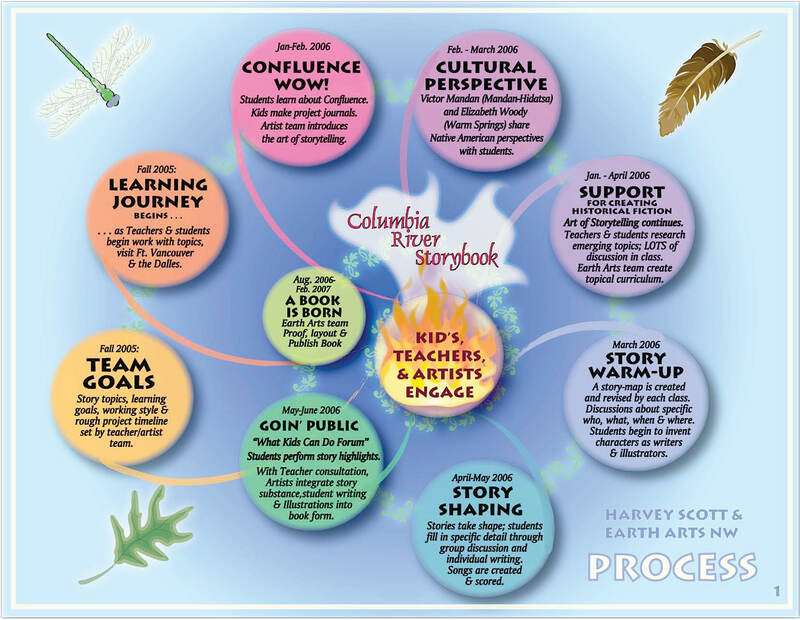 Pictures below share part of our learning journey together. 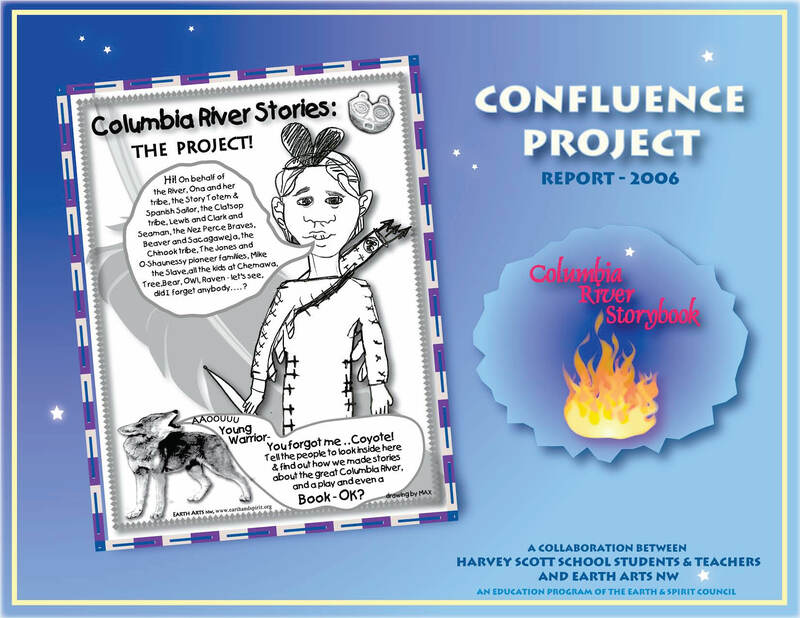 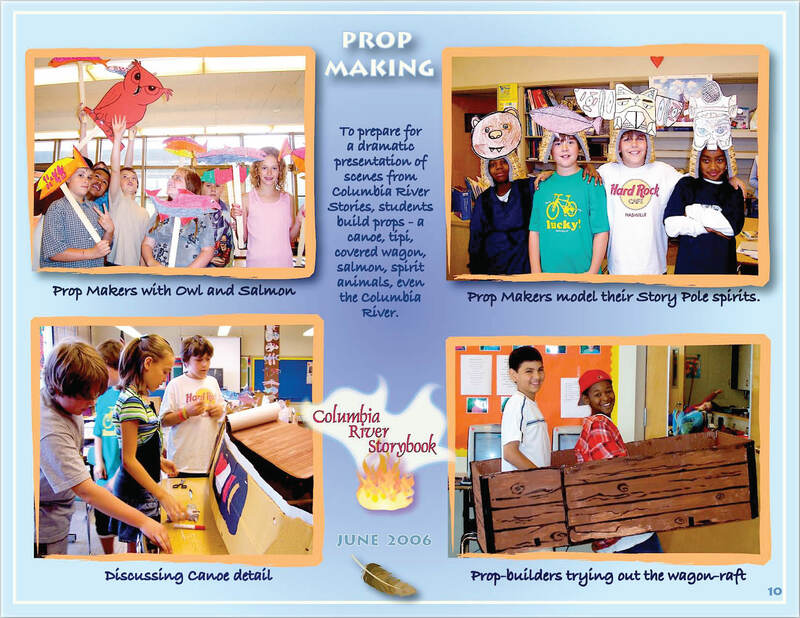 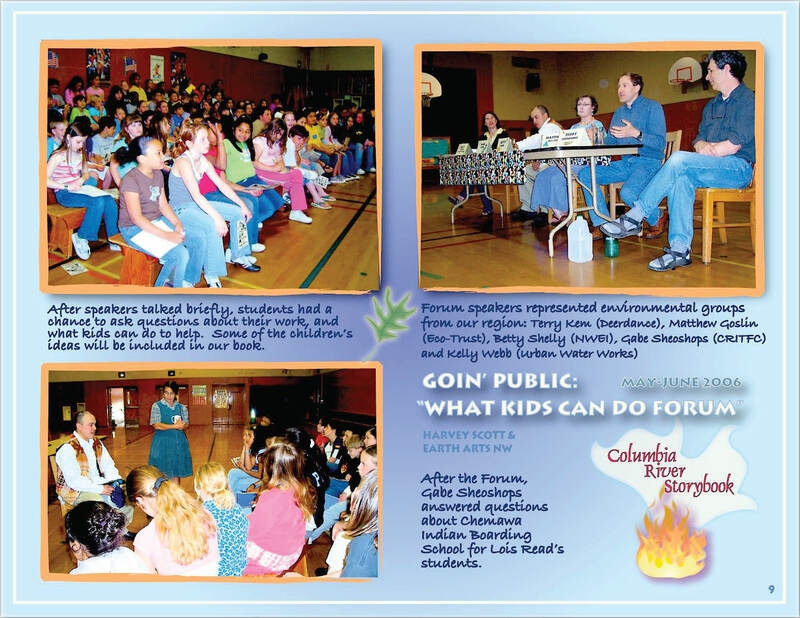 Published in 2007, Columbia River Stories is available at the Multnomah County Library, the Ft. Vancouver Regional Library, or for purchase on Amazon. 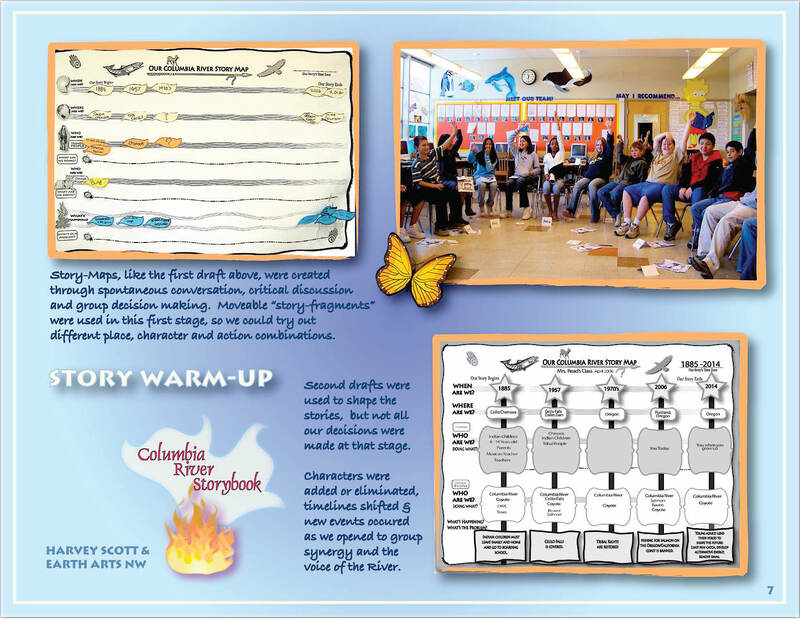 Classroom sets are available at cost to qualified schools. 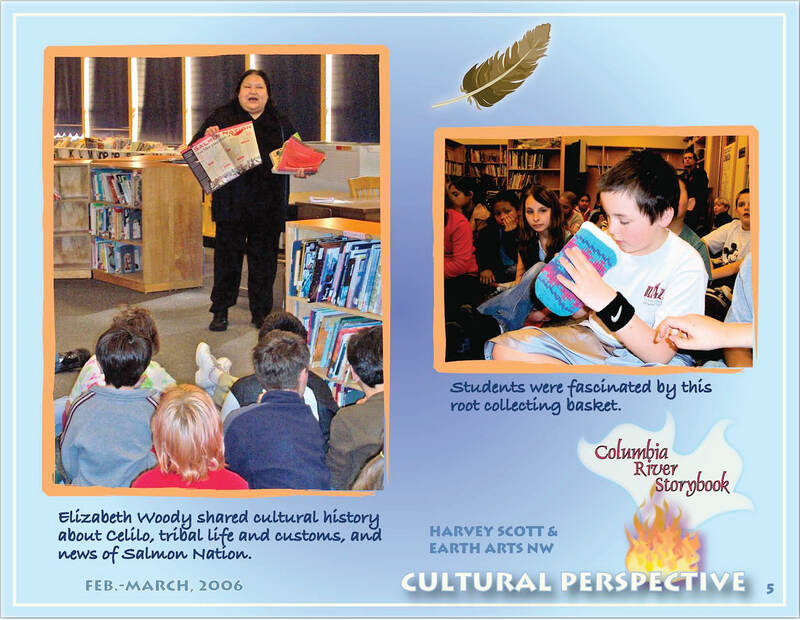 All proceeds from the sale of this book fund future Earth Arts projects.